April 14, 2019 Mattia A.
Sentient Ruin is honored to renew our alliance with multinational experimental black metal alchemists 夢遊病者 (Sleepwalker). Now a world-renowned phenomenon in the extreme/experimental underground, 夢遊病者 return with another catastrophic mindfuck of shapeshifting and disorienting psychedelic black metal mastery that will shatter your synapses. Invisible Oranges has premiered the track First Utterance starting that “pure nightmare fuel with a folksy crunch“ - you can listen and read their feature HERE. As per tradition Ѫ, is yet another work in which 夢遊病者 leave the listener blindsided and stranded in a place of utter disbelief, marvel, and complete implausibility. 夢遊病者 are able to distill black metal and ritualistic psychedelia unlike anyone has ever done or even ever fathomed before. A meticulous distillation of styles, a breadth of musical knowledge and expertise in the most experimental realms of abstract music that has few rivals around, and finally, the vision, dare we say insanity, to ponder the impossible as feasible and execute it flawlessly against all skepticism. On paper, 夢遊病者’s formula seems impossible and unlikely, yet it exists, its essence ungraspable and far out of reach, its mystery and marvel oppressing in their unquestionable enormity. Ѫ is scheduled for release on April 26 2019 through Sentient Ruin in North America and Babylon Doom cult Records in the EU, and will be issued as a single-sided etched black 12" LP housed in a custom black heavy cardstock fold-over cover and insert screenptined with metallic silver ink. A limited run of long sleeve shirts has also been made available from Sentient Ruin exclusively to celebrate what is perhaps the most insane chapter in the 夢遊病者 saga so far. DECOHERENCE: Haunting Debut 7" by UK Black Metal Destroyers to See the Light April 5 2019. March 13, 2019 Mattia A.
Sentient Ruin is honored and proud to partake in the first breath upon this world by debuting UK-based black metal enigma Decoherence. In strict adherence to black metal’s most hermetic and orthodox ways, Decoherence have stripped them selves of any human element to allow the music to solely speak for itself and come from a place of utter inhumanity devoid of any warmth or familiarity. As such biographies, social media, websites, identities, names and the such have been completely ignored in favor of the audio visual elements of the release which remain the sole focal point of the band’s craft and the only thing which the band has deemed meaningful in its hideous and isolationist attempt at communicating its wretched message. What has been disclosed to Sentient Ruin is that all music and recording is by Stroda in the UK, while vocals are by Tahazu, based in the US. Musically Decoherence remain firm in their homage to black metal’s proudest and most traditional roots, following in the footsteps of the forefathers of Scandinavian black metal like Marduk, Watain, Mayhem etc, while also vastly exploring uncharted and alien worlds of inhuman origin and mystique through the sapient weaving of grandiose and disorientating structures of pure sonic black matter, akin to those previously explored by bands like Darkspace, Funeral Mist, Aosoth, Leviathan, Skaphé, and Wormlust. The result are two massive and chaotic movements of distilled and purified darkness incarnated among terrain existence to remind humanity of the darkness and unknown forces that permeate existence and constantly threaten all life, serving the will of entropy, chaos, destruction, evil, and inescapability. Symbolizing the blood of humanity being spilled every second in honor of futility and nothing, Decoherence’s debut self-tiled debut EP comes a limited run of 200 clear red vinyl 7”s housed in a custom made fold-over cover of blood red heavy stock silkscreened with black ink, and with abstract horror visual creations lent for the purpose by dark surrealism luminary Stephen Wilson. Decoherence s/t 7”s can now be pre-ordered from Bandcamp and our store and are scheduled for an April 5 2019 official ship/release date. HOLD ME DOWN: Sentient Ruin To Unleash Virginia's Nihilist Industrial Act's Debut EP on Limited Edition Cassette. March 8, 2019 Mattia A.
Sentient Ruin is proud to bring you a straight-to digital/tape "flash release" of the debut EP by Virginia based post-industrial act Hold Me Down, a new band featuring one member of virginian industrial black metal and Sentient Ruin stalwart act AMERICAN. 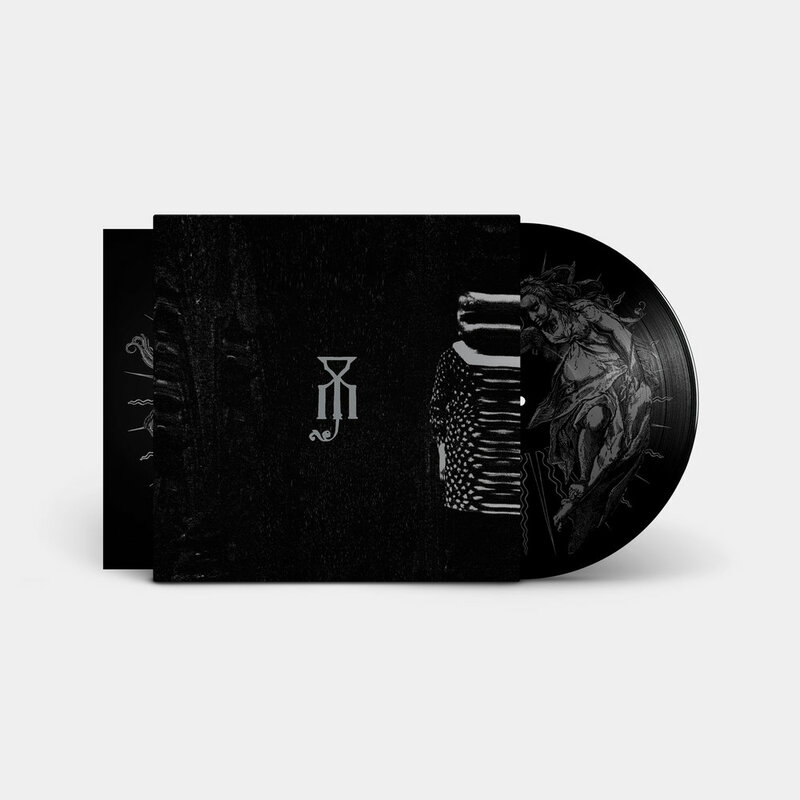 Digitally self-released by the band in January 2019, and now seeing its first proper pressing in physical format, the self-titled EP will come as a limited run of 100 tapes intended to be sold as an online Sentient Ruin exclusive only, and shipping on April 5 2019. These tapes will be available on our store and or at Bandcamp exclusively and nowhere else. Worshipping directly at the dystopian altar of bands like Skinny Puppy, early Ministry, and Godlfesh, Virginia's Hold Me Down debut with an EP of mezmerising industrial metal chaos and post-modern sonic deconstructionism set to annihilate the mind and torment the flesh with no solution of continuity. Within these seven cold and baneful cuts of mechanical aural pandemonium the listener will be drawn into a lifeless and colorless world of ruin and destruction where machines and deviant technology have replaced flesh and sanity and reduced man to a pale and fading memory, annihilated by its own delusions and exterminated by its own creations and mind. Subtle touches of harsh noise, power electronics, and black metal amalgamated in the mix round out a debut of absolutely mind-defiling cruelty.